Halloween Contests 2017 - Enter Now! Annual Without Your Head Halloween Costume and Pumpkin Carving contest 2017 !!! Send in a picture of you in your 2017 Halloween Costume and/or send in pictures of your carved pumpkin! Two seperate contests with 2 seperate prize packages! 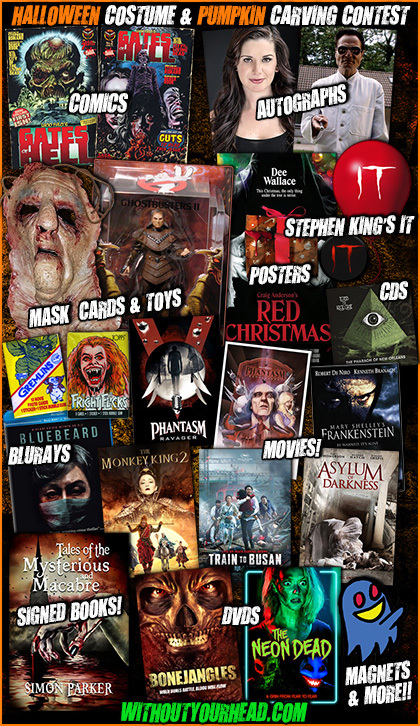 Our 2017 Halloween special with guest Thomas Negovan creator of "AURORA", our 6-6-6 List of the Beast covering our top Halloween films, Minnesota Monster League's Chuck Visger the official Freddy Krueger impersonator and more! 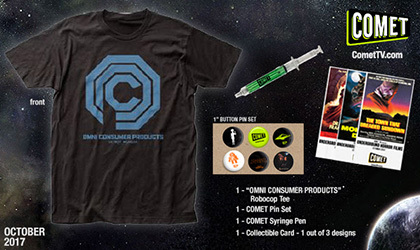 COMET TV October Prize Pack Giveaway! Robocop! Underground Horror Series! And More! Without Your Head © 2005-2016. Powered by Tyler's Engine v1.31. Page generated in 0.06 seconds with 6 SQL queries.